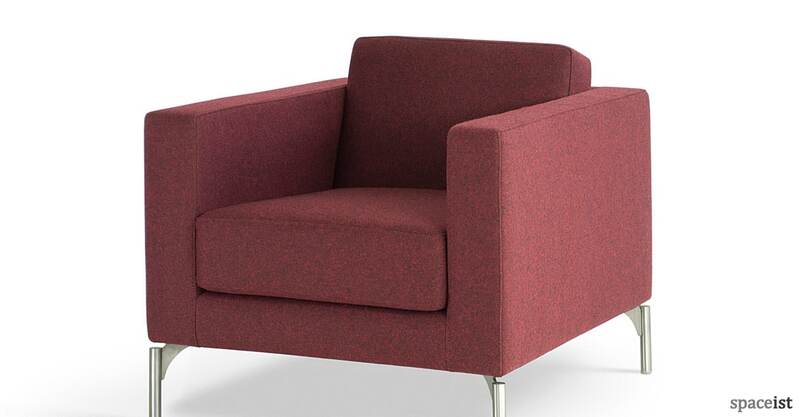 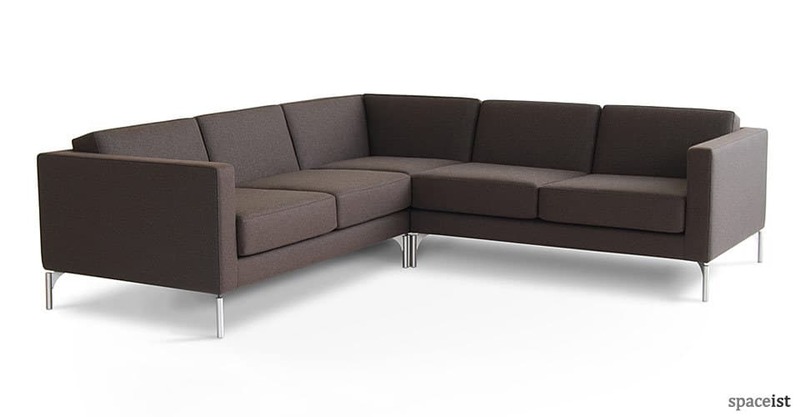 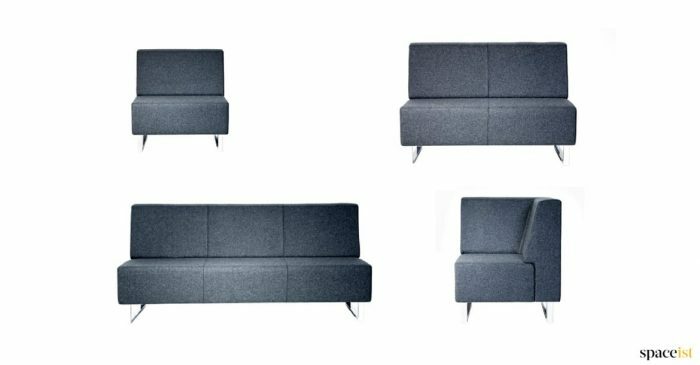 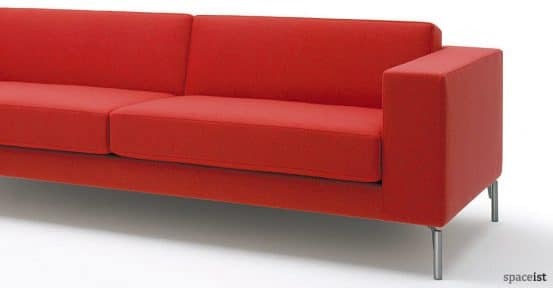 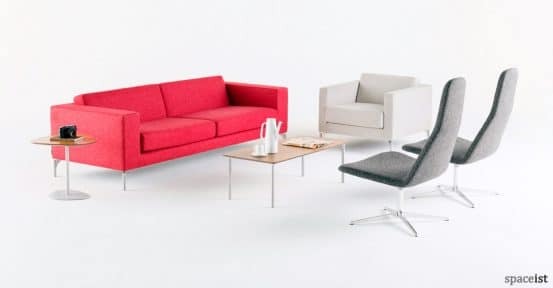 The 34 sofa corner system incorporates a separate corner element which sits along side one arm sofas to make an L or corner configuration. 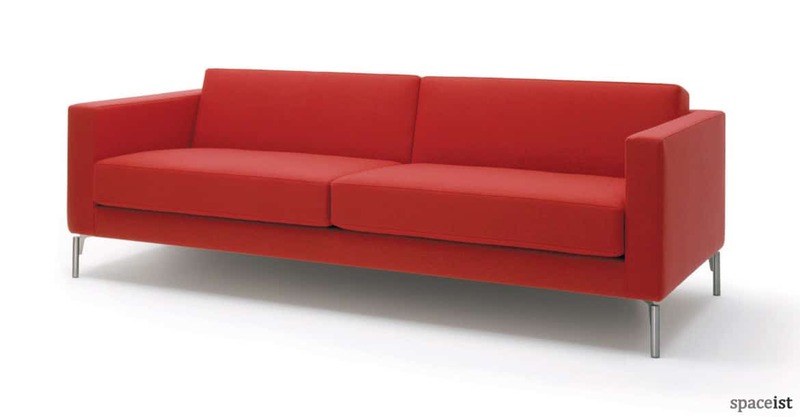 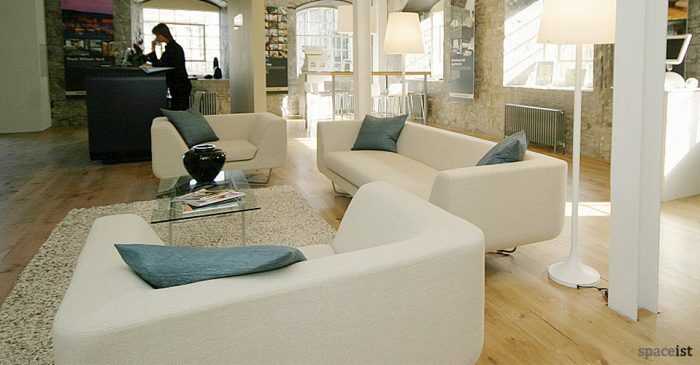 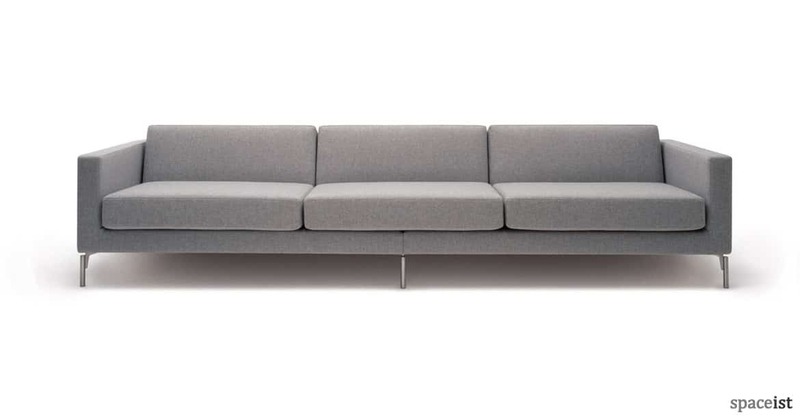 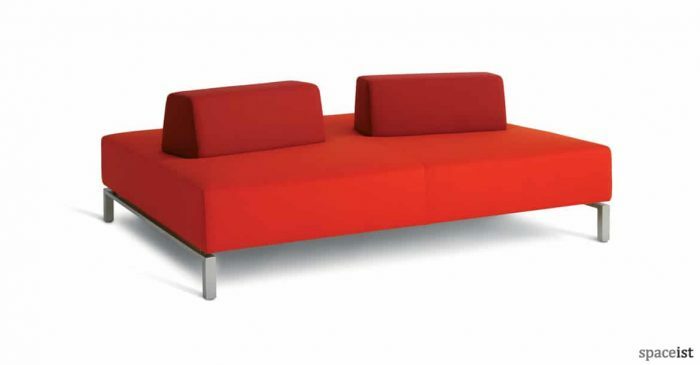 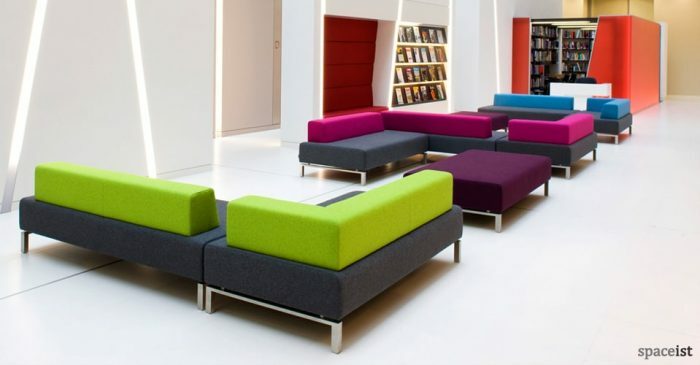 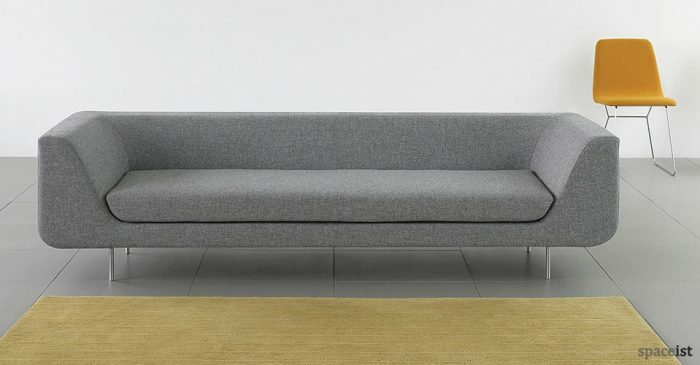 The sofa can be upholstered in a huge choice of fabrics and leather in a variety of colours. The base floats above an attractive steel leg. 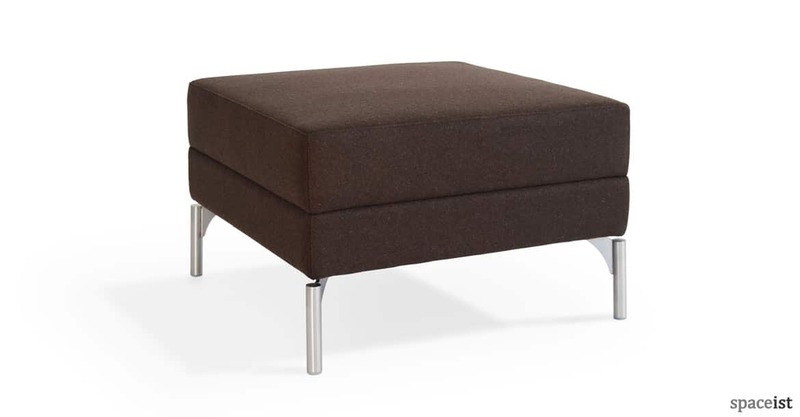 Matching foot stool and cushions.